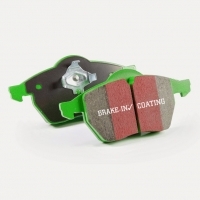 Upgrade pad for sport compact improves brake effect 10-20%. Suitable for all sport compact in highway use. Minimal dusting features makes this a clean pad compound.